Hi guys/girls. 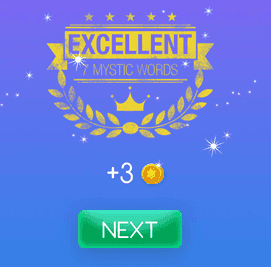 Welcome to Mystic Words Beige level 50 answers. Remember to look only the answers to the clues you are blocked. There is no fun if you see all the answers before trying to solve them first. Some PowerPoint illustrations 6 letters answer, click here! A subtle 7 letters answer, click here! A round cookie with ginger 10 letters answer, click here! Thin in diameter 10 letters answer, click here! Go back to a prior location 6 letters answer, click here! Moving quickly downwards 7 letters answer, click here! Make less subtle 7 letters answer, click here!